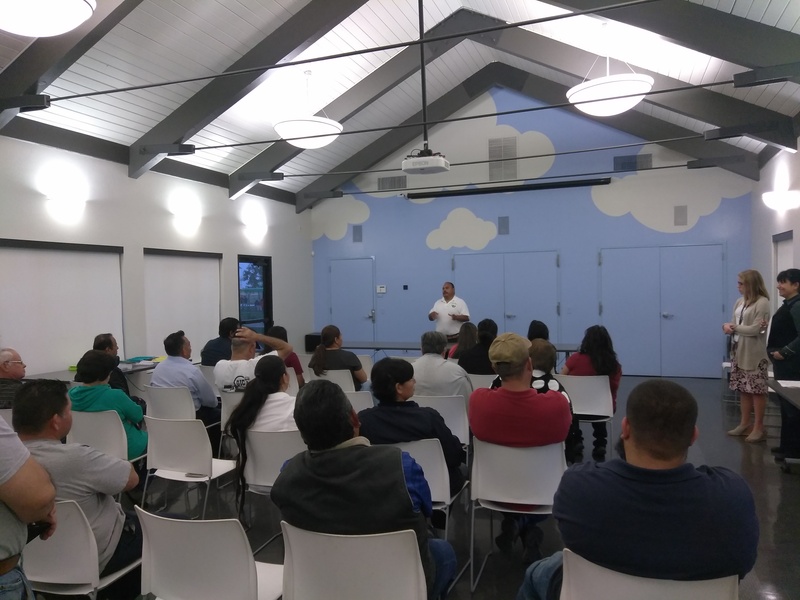 Last month, the Comité Lost Hills En Accion, a group of community members that I work with to advocate for public health and community wellbeing measures in Lost Hills, invited representatives from Caltrans to do a presentation on the expansion of Highway 46. Highway 46, which runs through the Lost Hills community, is also known as a "Blood Alley" for the high number of motor-related deaths that take place on it. The current Caltrans proposal is to expand the highway from 2 lanes to 4 lanes. Throughout the week that preceded the meeting with Caltrans, core comité members and I business to business and door to door encouraging people to attend the meeting and learn about the proposed project. We had more than 25 community members and business owners show up and share their concerns about the expansion. The main themes in people’s questions and concerns had to do with noise, pollution, and safety. Many Lost Hills students cross at Bruning Avenue to get to school, and Bruning Avenue intersects with Highway 46. Multiple parents had questions and suggestions about how to improve that crossing and how to reduce and enforce speed limits near the schools along Hwy 46. We remain in communication with Caltrans and are discussing the feasibility of the safety-related improvements suggested. In 2019, we look forward to continuing to bring Lost Hills residents together to participate in shaping the future of their community.